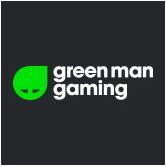 As Green Man Gaming’s Brand Ambassador, you will be responsible for creating and fostering a global community on greenmangaming.com. As an expert in community building, you will work with teams internally to build a platform which includes features and tools that help grow the community further. Be a brand ambassador for Green Man Gaming in the gaming community. Design and implement Green Man Gaming’s community structure, features and environment to engage with users. Develop a plan and strategy to help grow and maintain active community users and increase engagement. Develop and manage content plans to increase usage of the community. Manage Green Man Gaming's community forum and features. Actively lead and manage moderators and active / influential users. Maintain and execute community rules and policies. Manage the community newsletter and blog section. Oversee and manage the introduction and launch of new community tools and features. Manage Green Man Gaming’s presence and reputation in key external community forums such as Reddit and Discord. Work closely with the social media and influencer teams to ensure all community activity and communications are aligned. Define KPI’s, analyze metrics and send regular performance reports to stakeholders. Demonstrable brand and community building skills in the video games industry with a minimum of 2-3 years experience of relevant industry-level experience. Experience of growing online communities. Clear understanding of social media channels and forums such as Reddit. Ambitious, Confident, Self-motivated, and able to work in a team as well as independently. Highly organised with the ability to prioritise your workload and work to tight deadlines i.e. great at managing projects. Ability to work in a fast paced environment under pressure. A passion for video games (PC gamer preferable). Proficiency with image and video editing software. Confident with data and insights. Ability to have fun at work. Green Man Gaming is a global pure play e-commerce and technology business in the video games industry fuelled by an unhealthy obsession with bringing the magic of games to everyone. The company's geeky knowledge, data and IP sit at the core of the business and is what drives it to become a technology leader in the video games ecosystem. Green Man Gaming Publishing works with independent development studios globally to market their own games and increase the visibility of games in a challenging marketplace. Leveraging its patented technology, Green Man Gaming also partners with game publishers and leading hardware manufacturers including Intel and Lenovo to support their marketing initiatives. The company was recently ranked in the Financial Times 1000 Europe's Fastest Growing Companies 2018 list and was a finalist in the Retail Week Awards 2018 for the Emerging Retailer of the Year Award as well as the National Business Awards 2018 for the Digital Business of the Year Award. This job is advertised on behalf of Green Man Gaming using their internal reference NS/BranAM.